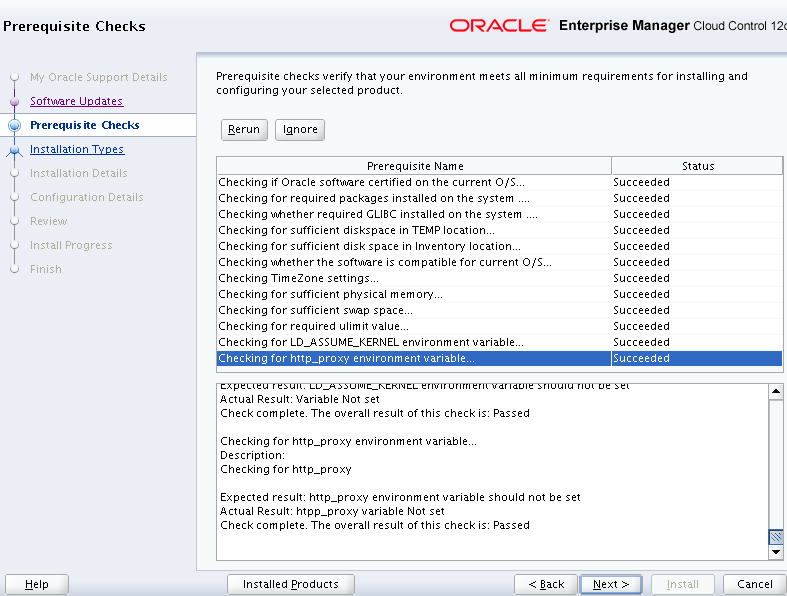 In this article, I’d like to demonstrate how to installing OEM 12c Release 4 on a linux machine. 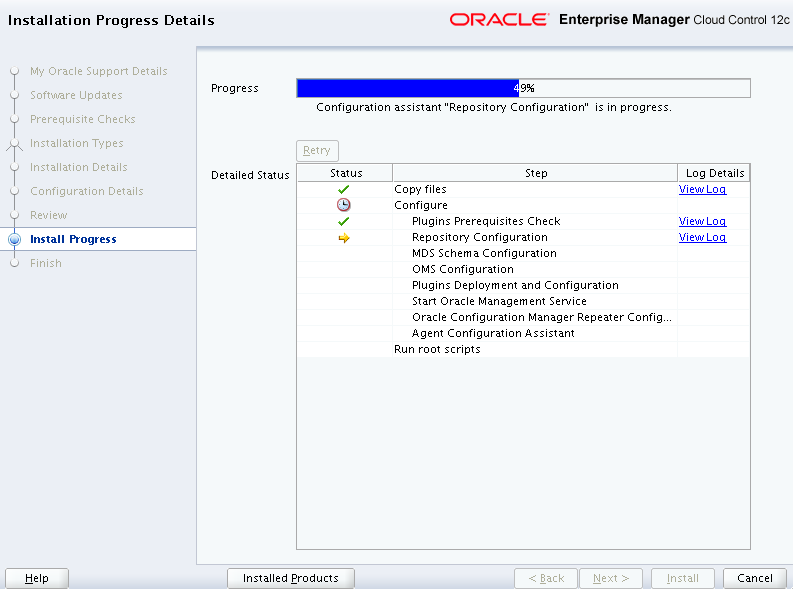 In the upcoming posts, I’d demonstrate on upgrading this OEM 12c to 13c. This article assumes that oracle 11.2.0.3 binary is pre installed on the server and that the repository database “omsdb” is created on it. 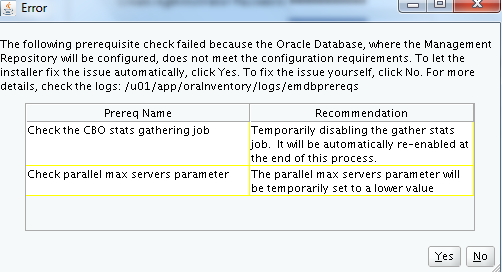 Do not have the Enterprise Manager DB control configured for this database. If already configured, then have it removed using the “emca” utility with “-deconfig” option. 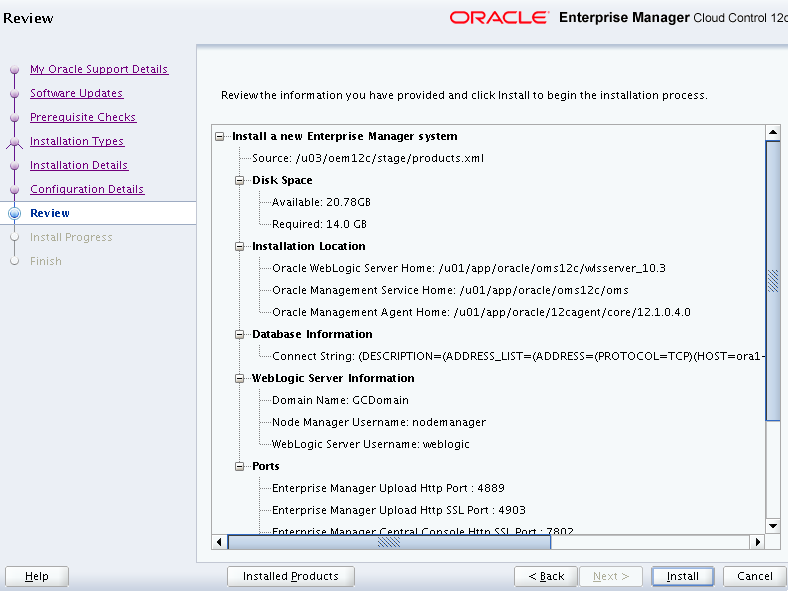 Download the OEM 12c Release 4 software from here http://www.oracle.com/technetwork/oem/grid-control/downloads/index.html The software consists of 3 disks. Unzip all the 3 disks into a single directory. 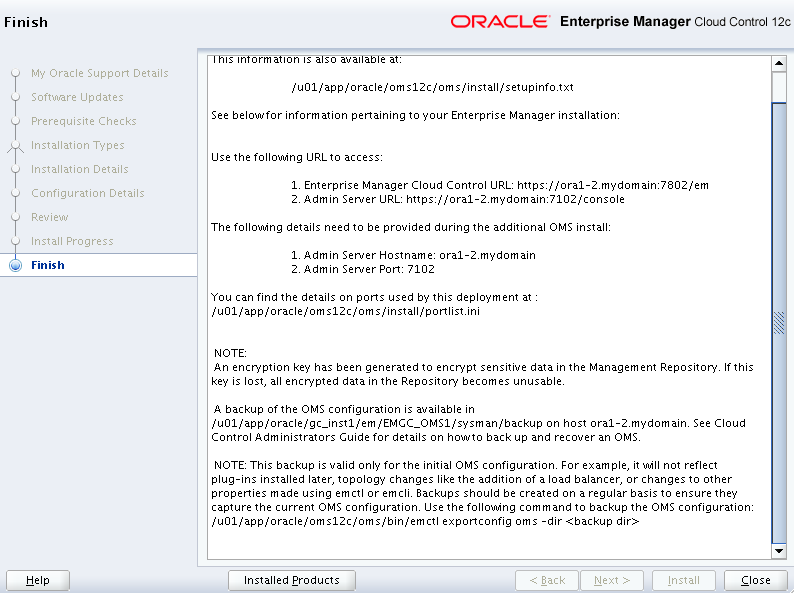 Here, I have unzipped them into “/u03/oem12c” directory. 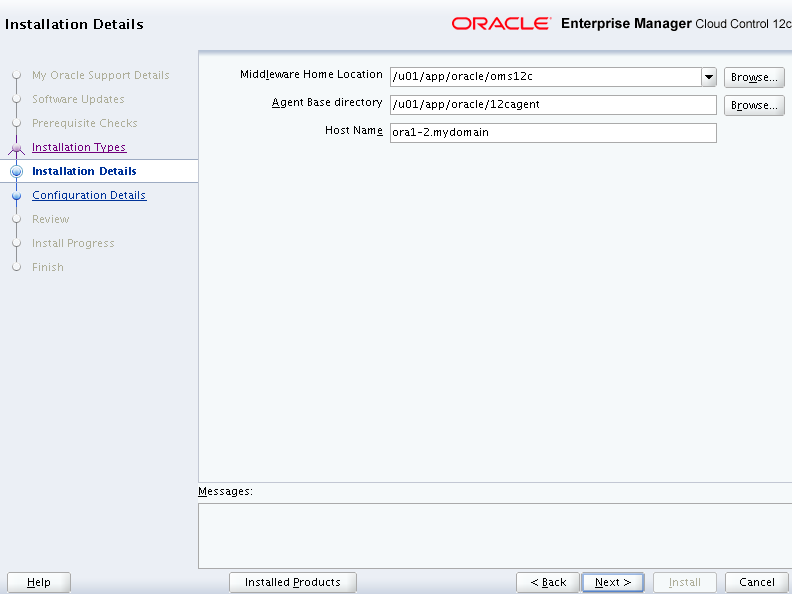 Create the required directories for the OMS and the agent installation. Start the installation by running the “runInstaller” script. Run the “Prerequisite” checks in the next step. Look out for the Status section to know if the respective check Succeeded or Failed. 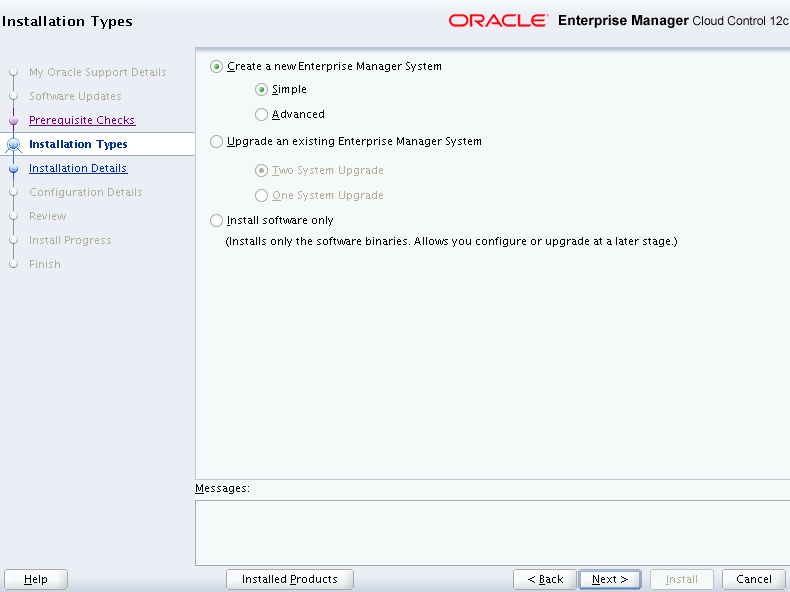 Select the “Create a new Enterprise Manager System” option with “Simple”. You can choose the Advanced option for more options. Provide the Middleware Home Location (OMS Home), Agent Base Directory Location and the Host names on which it has to be installed. Provide the configuration details such as “Administrative Password”, OMS repository database details such as host name of the OMS repository database, the Port number on which the listener on this host servicing OMS repository database is listening to and the SYS password. 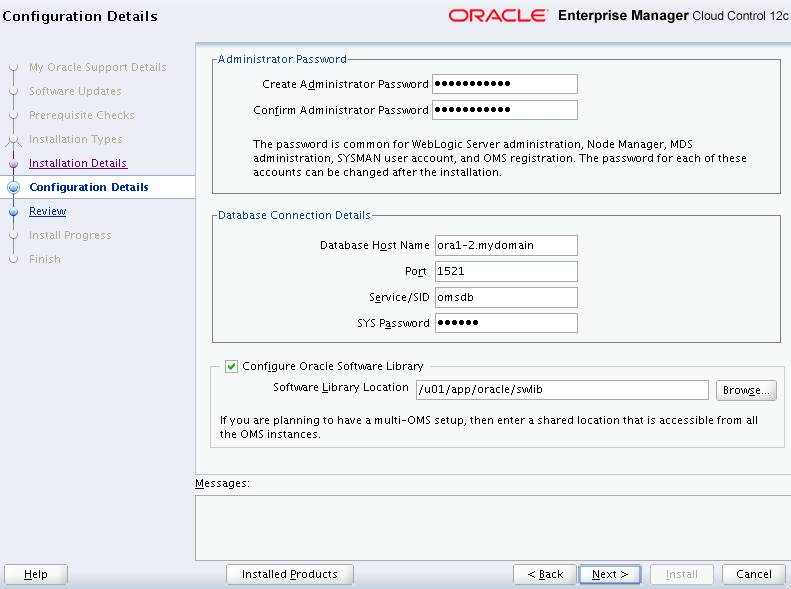 You can opt the “Configure Oracle Software Library” if planning to have a multi-OMS setup, else you may skip this. There would be some pre-requisite checks performed on the repository database and would be reported if any violations. If there are any other recommendations with changing of the repository database parameters, then necessary actions need to be taken upon accordingly. If all perfect, then proceed with the Install option. Run the script “allroot.sh” as ROOT user when prompted. 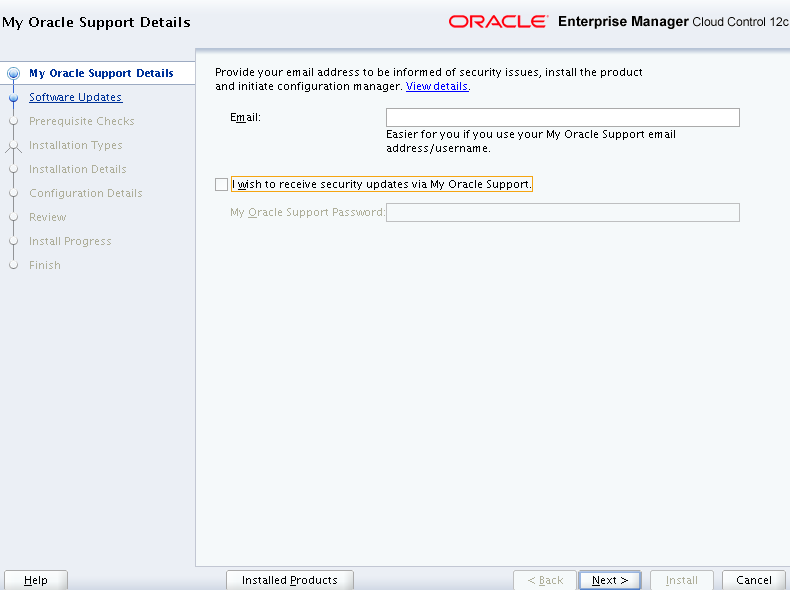 Review the final page consisting of the details of accessing the OEM 12c. 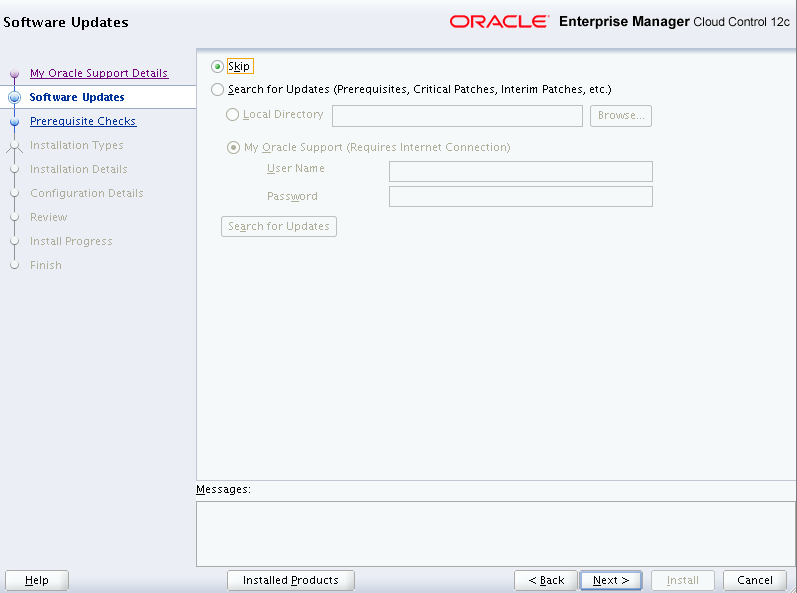 Login to the OEM 12c using the URL mentioned in the above page. The selected homepage (“Summary” page in my case) will be shown up. Your articles are very clear.This is very useful.Thanks for sharing the knowledge.